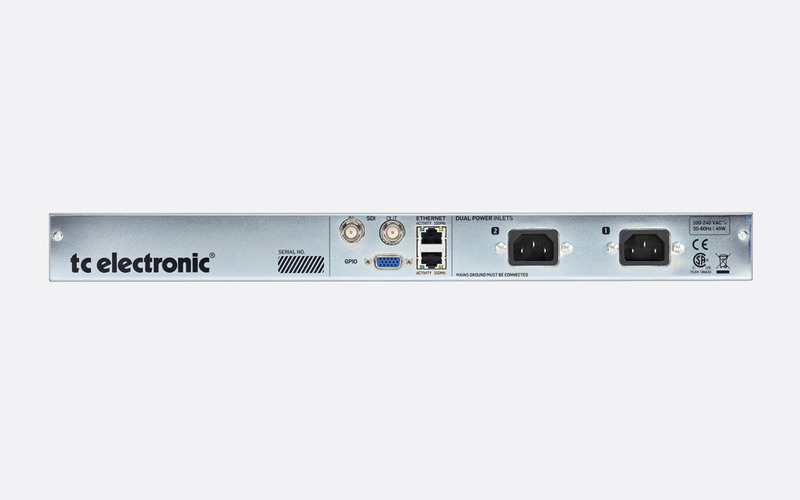 The DB6 broadcast audio processor is designed for use in environments from outside broadcast vans to TV studios and ensures the user can remain compliant to legislation and broadcast standards while maintaining quality and in the audio output. There are six variants of the DB6 processor, all requiring either connection to a TC Icon MKII remote control or a computer running TC Icon software. 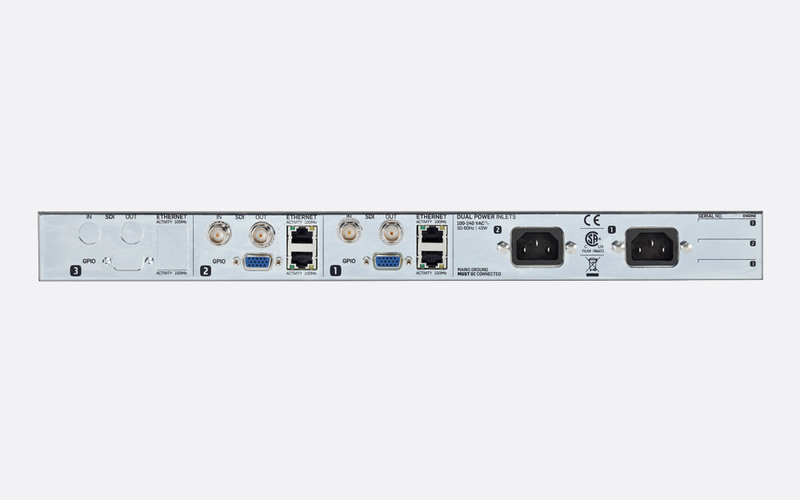 The DB6 Multi can process up to three SD/HD/3G (as standard with DB6 Multi 3) streams, while the DB6 Single can process a single SDI stream. Up to sixteen channels of AES audio are available on both of the DB6 AES models, and all DB6 models now include a Loudness Wizard II (aNorm) plug-in licence (87-0117); with the DB6 Multi 2 and DB6 Multi 3 including a Loudness Wizard II (aNorm) licence per I/O card. 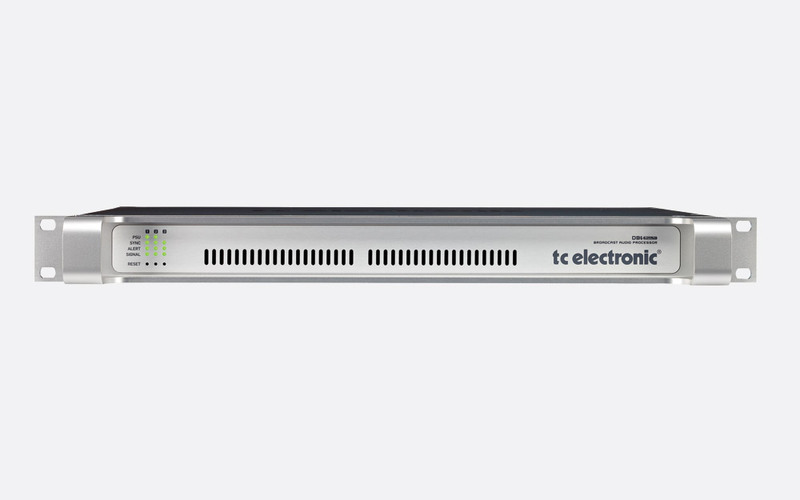 Note (1): Whilst the DB6 AES models have the capability to run sixteen channels, an optional licence (87-0205) is required to allow use of channels 9-16. The DB6 is capable of processing mono, stereo or 5.1 audio sources. The 'LoudnessWizard' function allows a more 'plug-and-play' method within the DB6, whereby a stereo or 5.1 input signal is processed and monitored with automatic loudness control, automatic up-conversion, automatic down-mix, 'True-Peak' limiting, normalising, and lip-sync delay. Once set up, the unit can be left to continue the processing, or the parameters can be altered in small or large increments by the user. The TC Electronic LM6 loudness radar algorithm is the second part of the DB6 feature set. 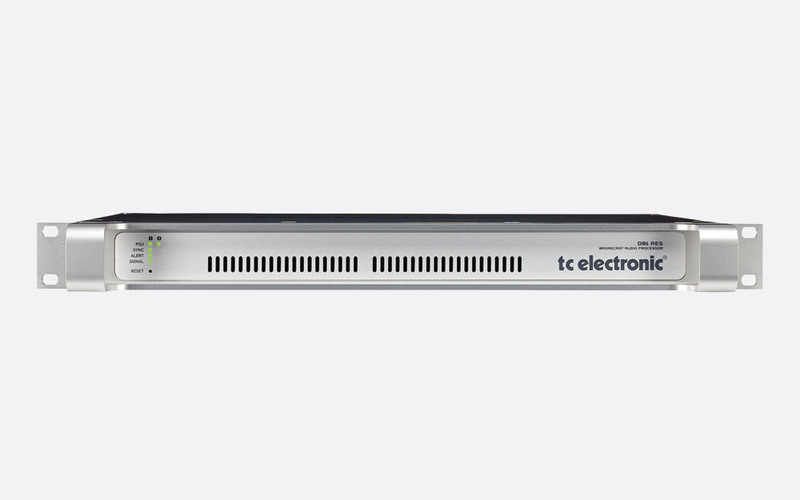 Up to two simultaneous instances can be ran to monitor both input and output, giving clear information on the TC Icon MKII display or computer running TC Icon software. The information shown can be set to PPM page that includes input level meters for individual channels up to 5.1, and maximum value hold display or the main radar meter page. The colourful radar meter gives the user instant visual access to momentary loudness, loudness history, target loudness and 'centre of gravity' which gives a dialogue normalisation ('dialnorm') readout. In both pages a consistency meter show the loudness range in decibels for the whole program since reset. The front of the DB6 has status LEDs for PSU 1 and PSU 2 which illuminate green for functioning power or red if no power or problem with power. 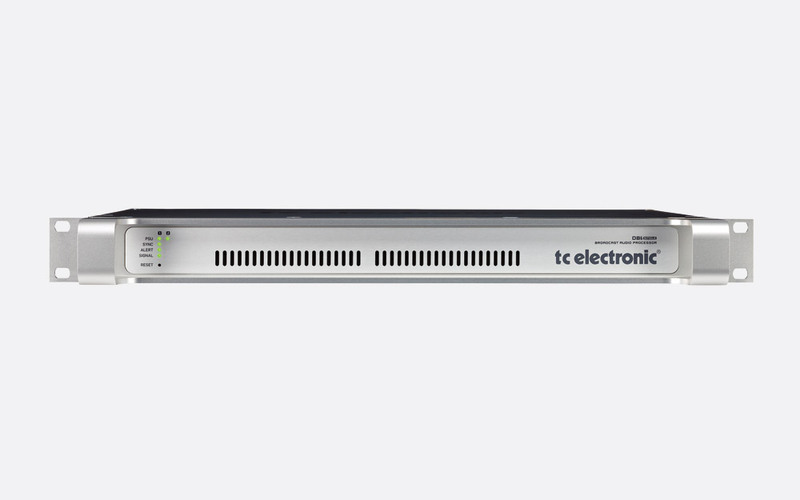 Further LEDs are 'Sync' - which illuminates green to indicate synchronisation to a connected device, 'Alert' - to signify a problem with the device or signal being processed and 'Signal' - which allows the user to see when an audio stream is being received and processed. Finally a reset button allows the user to reset the IP address or Ethernet communication to that channel. The number of 'Sync', 'Alert', and 'Signal' LEDs is dependent upon the number of channels on the model in question. Power source: 100-240V AC, 50-60Hz, 45W typical. 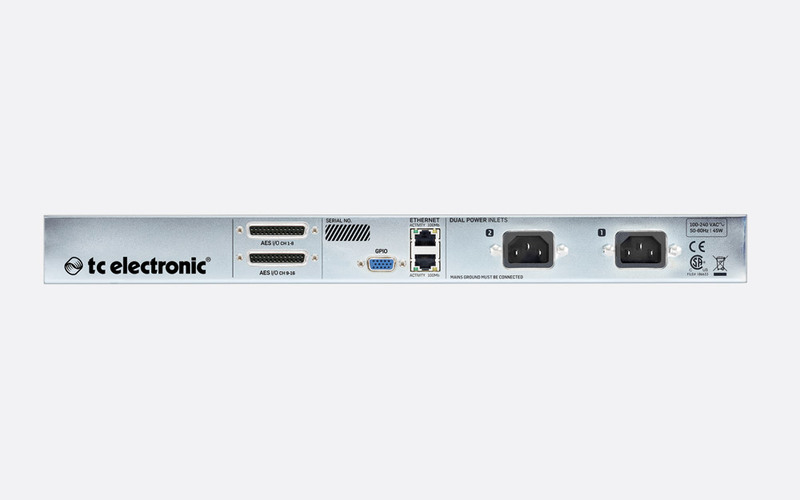 Dimensions: 483 x 334 x 44 (w x d x h) mm, 1U rack mounting. Weight: 4.3kg with one card installed; 4.7kg, with maximum cards installed.